L-Tyrosine – A Popular Bodybuilding Supplement, But Does It Work? Home » Ingredient Watch » L-Tyrosine – A Popular Bodybuilding Supplement, But Does It Work? First published Sep 2, 2013. L-tyrosine is a non-essential amino acid derived from meat sources. It acts as a precursor for adrenergic hormones norepinephrine and epinephrine (in addition to dopamine). By stimulating the dopaminergic-adrenergic systems l-tyrosine allegedly causes appetite suppression, increased resting energy expenditure and fat oxidation. Additionally, it has also been shown to increase focus and intensity of training sessions. However, much of the evidence in favour of l-tyrosine seems to be anecdotal. Let us have an in-depth look at l-tyrosine, the way it supposedly works and if it is really worth it. Traditionally, l-tyrosine has been used to treat a variety of clinical conditions like attention deficit disorder (ADD), some forms of depression and to attenuate fatigue from jet lag or to improve cognition such as during times of examination (Deijen, Wientjes, Vullinghs, Cloin, & Langefeld, 1999; Neri et al., 1995; Sutton, Coill, & Deuster, 2005; Swedish Online Health Library, 2013; EBSCO CAM Review Board, 2012). Additionally, there is strong anecdotal evidence that l-tyrosine may be helpful in enhancing sports performance. Quite popular in bodybuilding circles, l-tyrosine has been shown to recruit far greater amount of muscle fibres than possible otherwise. Improvement in muscle strength, anaerobic contractile ability as well as muscle endurance are allegedly observed with the use of L-tyrosine. More importantly – especially for those looking to reduce body weight – l-tyrosine causes fat oxidation while improving lean muscle mass. Another benefit of l-tyrosine supplementation is the reported boost in training focus and intensity, perception of pain threshold and the overall ‘euphoriant’ feeling post-workout. Let us have a look what l-tyrosine really is and how it allegedly causes its actions. Chemically, l-tyrosine is an amino acid derived from meat sources. It is classified as a non-essential amino acid since its presence in diet is not strictly required. This is so because the human body can produce tyrosine from one of the other amino acids, phenylalanine. L-tyrosine (and phenylalanine) are important for normal physiological functioning of a human organism. 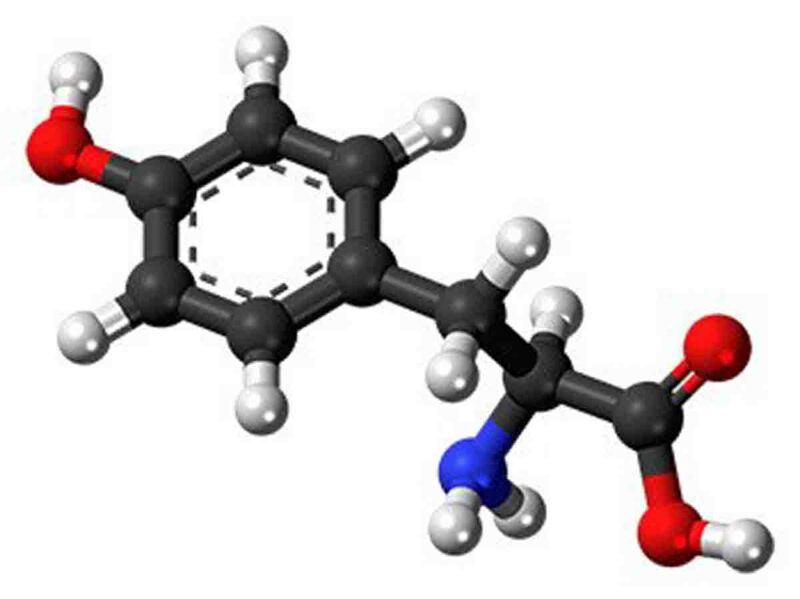 This is owing to the fact that both l-tyrosine and phenylalanine act as precursors (building material) for adrenergic hormones norepinephrine and epinephrine, in addition to dopamine. How Does L-tyrosine Cause Weight-loss? Additionally, l-tyrosine is also converted into thyroid hormones which can also contribute to stimulation of metabolism. Furthermore, studies have reported that increase in l-tyrosine consumption can elevate brain dopamine levels. This helps improve mental focus during exercise and sports training sessions. Also, tyrosine supplementation has the ability to alter favourably the perception to stress and pain threshold (Deijen et al., 1999). What are the Recommended Doses of L-tyrosine? The recommended therapeutic doses of l-tyrosine (for various uses) are 7-30g/day. 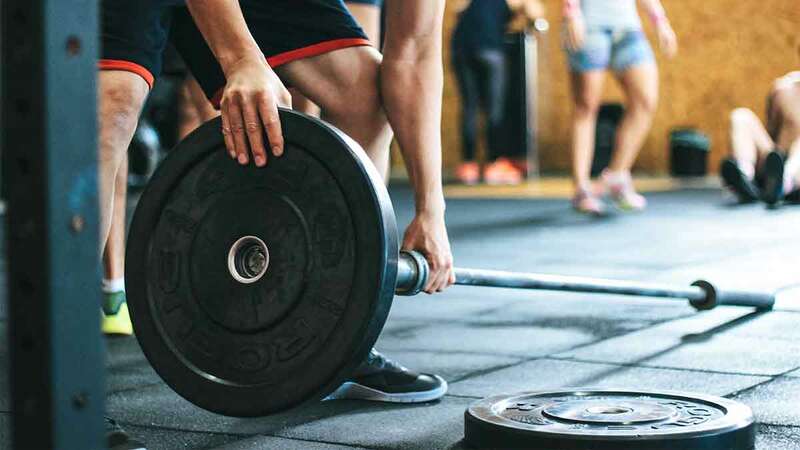 Most of the reported benefits of l-tyrosine – in improving fat oxidation and exercise performance may be anecdotal – since there isn’t much scientific evidence to go by. Although there is strong anecdotal suggestion that l-tyrosine may enhance sports performance, scientific evidence is inconclusive. A randomized, double-blind clinical study published in 2005 reported that l-tyrosine at a dose of 150mg/kg of body weight failed to induce any improvement in either fat oxidation or exercise performance (Sutton et al., 2005). Effectiveness of l-tyrosine in other conditions has also been questioned. While some researchers say it is effective in fighting depression (Gelenberg & Gibson, 1984), others feel it isn’t (Gelenberg et al., 1990). While its usefulness in improvement of mental concentration (in cases of sleep deprivation) has been proved beyond doubt, the ability of l-tyrosine to reduce body weight or indeed, enhance sports performance remains anecdotal. Scientific evidence for either of these actions of l-tyrosine remains equivocal. Although shown to be quite safe (even in macro gram doses), its lack of effectiveness makes the use of l-tyrosine for reducing body weight quite worthless. Deijen, J. B., Wientjes, C. J., Vullinghs, H. F., Cloin, P. A., & Langefeld, J. J. (1999). Tyrosine improves cognitive performance and reduces blood pressure in cadets after one week of a combat training course. Brain Res.Bull., 48, 203-209.